We've supplied over 9000 Alabama families with the very best in pet safety and training equipment since 1994, containing over 11,000 pets. 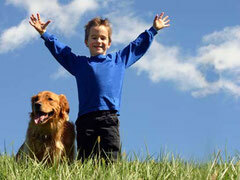 Our American made Pet Stop® electronic pet containment systems are unmatched in the underground pet fencing industry. With literally thousands of possible configurations, our products can be specifically tuned for your dog or cat, with independently adjustable receiver settings for each pet. Pet Stop’s engineers are the acknowledged leaders in the pet containment industry, holding many patents for the most innovative features and products in the history of the industry. John Purtell, President of Perimeter Technologies (manufacturer of PET STOP® products), founded Invisible Fence® Company in 1976. Our Top-Rated ExpertService™ & industry-leading Pet Stop products continue to surpass all competitors. In the Birmingham and central Alabama area, we have 10 years more experience than any local competitor. We are Alabama's Pet Fence Experts™. Why Use Pet Stop of Alabama? Our services don't stop with Pet Stop! We can service every premium brand of pet containment product on the market...one key reason is that our products can be programmed to match other premium brands' signals. We have found our electric dog fence collar to actually work better with many competitors' transmitters than the dog fencing collars they were supplied with. We also sell and install Premium Pet Doors from Patio Pacific™ and Hale™. 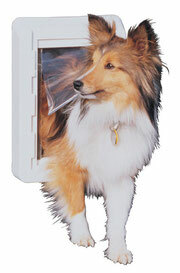 As Authorized dealers since 1997, we have installed hundreds of pet doors in many different types of applications. We now have access to many brands of pet doors, even some automatic dog doors and cat doors.